China will take its first step towards building a space station on Thursday, when it launches an experimental module ahead of National Day celebrations. China sees its ambitious space programme as a symbol of its global stature and state media said the launch of Tiangong-1, or Heavenly Palace, represented a "milestone" for the country. Tiangong-1 is scheduled to take off between 1316 and 1331 GMT from the Gobi desert in China's northwest, propelled by a Long March 2F rocket, ahead of China's National Day on October 1. Chinese newspapers and websites splashed the planned launch across their front pages, while state-run television began counting down to the take off from early Thursday. The unmanned 8.5-tonne module will test various space operations as a preliminary step towards building a space station by 2020. 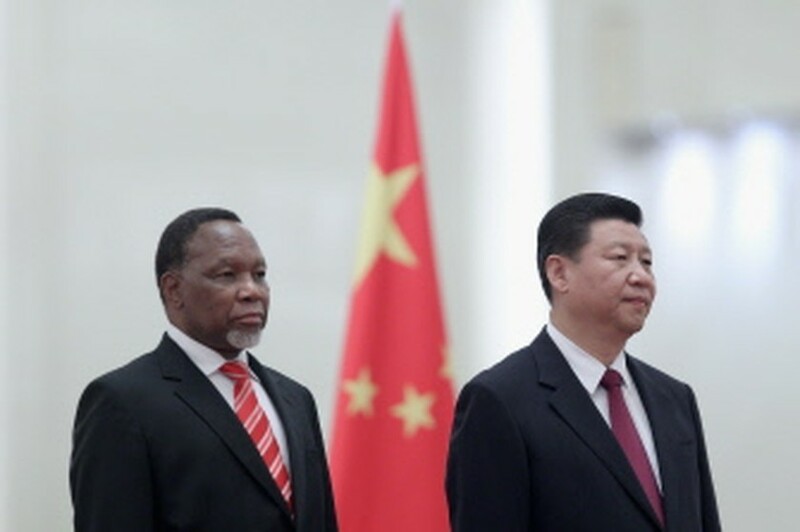 Chinese Vice President Xi Jinping (R) and South Africa's Vice President Kgalema Motlanthe listen to their national anthems during a welcoming ceremony inside the Great Hall of the People on September 28, 2011 in Beijing. As part of that goal, Tiangong-1 -- which has a two-year lifespan in space -- will receive the unmanned Shenzhou VIII spacecraft later this year in what would be the first Chinese docking in space. If that succeeds, the module will then dock with two other spacecraft -- Shenzhou IX and X -- in 2012, both of which will have at least one astronaut on board. The technology for docking in space is hard to master because the two vessels, placed in the same orbit and revolving around earth at some 28,000 km/h (17,360 mph), must come together progressively to avoid destroying each other.